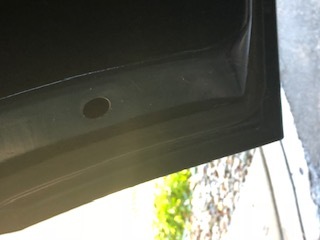 Looking for pics of the front door weatherstrip installed - need some pics showing it when viewed from each angle. 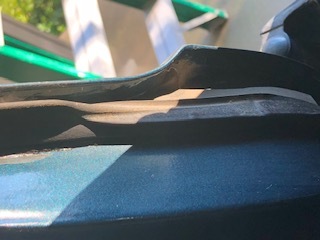 The new strips I have come with a flat portion that looks like it goes near the base of the A post, need a good shot of that. Also it appears the strip gets two metal reinforcements, one with 5 prongs, the other has 6, to help hold it to the bottom radius and to the front vertical section but the strip has no holes in it. I don’t want to cobble these up and the old ones were thrown out years ago. Not many on here do, I happen to have two. I’ll take pics for you tomorrow if that will be alright? I bought my set from GEORGE, yours sound different, where did you get yours? I bought them for my son in 2012, the Army got in his way of installing them and finishing up the truck. Long story short he is back to working on the truck, old strips are long gone, no directions. Pictures would be great whenever you can post them. There are two A100 sites you may want to join on Facebook ? ~ Dodge a100and Fargo van club & Dodge A100 van & trucks... you will get all your a100 needs ! 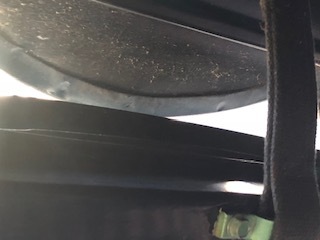 Yes, the flat area of the weatherstripping is at the lower portion of the A pillar.